A bit of research, a bit of luck . 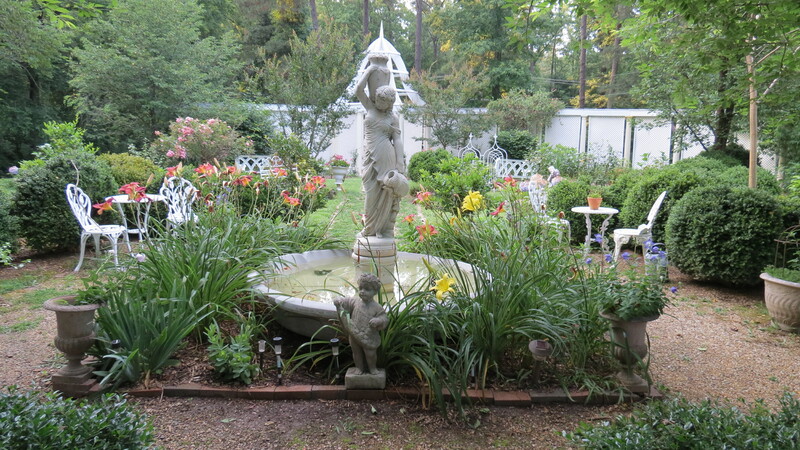 . .
Brought us to the Edgewood Plantation in our search for a bed and breakfast in the area along the James River, which runs through Richmond to the Chesapeake Bay. The Edgewood website richly described the historic house and gardens quoting Country Collections magazine, “Have you ever dreamed of waking up to an antebellum room that would be the envy of Scarlett O’Hara?” A resident ghost, chased by the TV Ghost Hunters, reportedly resides in the upper story. Sounded like a perfect place to stay! We drove from Petersburg crossing the Benjamin Harrison Memorial Bridge to the John Tyler Memorial Highway (Route 5), a scenic road lined with forests on either side. A bike path parallels the road in several sections. We drove up a circular driveway to the house, an example of Gothic Revival architecture with a fan-style front porch decorated with wicker seating and floral arrangements on the tables. An orange cat greeted us in the parking lot and led the way to the porch steps where we met the proprietor, Dot, who warmly welcomed us, offering a glass of wine as we walked through the gardens. The Edgewood Estate had once been part of the Berkeley Plantation, the home of the ninth President of the United States, William Henry Benjamin Harrison, a signer of the Declaration of Independence. His grandson, Benjamin Harrison, became 23rd President. Harrison built a mill at this site in 1725 so that he could grind wheat and corn rather than having to export the crops elsewhere for processing. Water flowed from a pond down to the mill, creating a waterway, now arched by a white clapboard bridge. 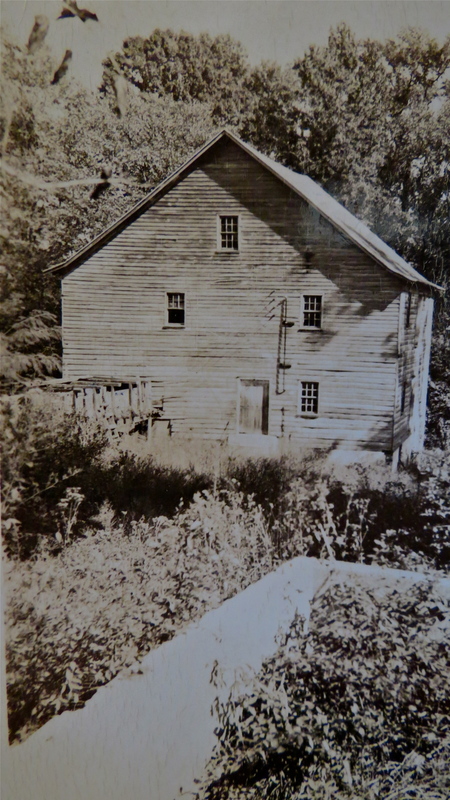 Around 1854, Richard S. Rowland traveled from New Jersey to run the grist mill, moving into the house with his family. Harrison also owned large bake ovens for making sea bread, a food used by the sailors on voyages to England. The mill operated into the 1930s and was known for the excellent meal produced by the burr stones turned by a water wheel. 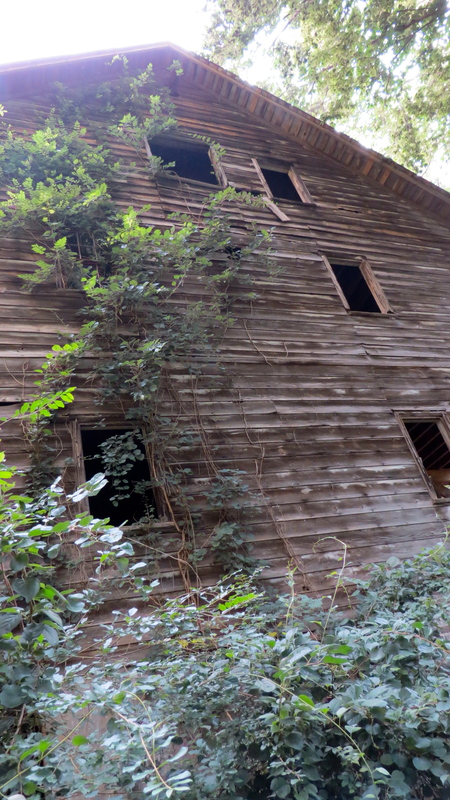 We explored around the mill peeking through an open door. Inside remnants of the mill remained including chains and hooks still hanging from the cross beams; the famous limestone grinding stones rested on the ground outside. A building that was once the slave quarters sits in back of the main house. Restored and now used as guest rooms, certainly would not resemble what once the slaves called home. According to the definition on Wikipedia, a plantation would have been supported by slave labor. Any romantic recounting of the period that only includes the view of grand mansions with elaborate furnishings and horse-drawn carriages quickly dissipates at the thought that the system of slavery that imprisoned people to a master. 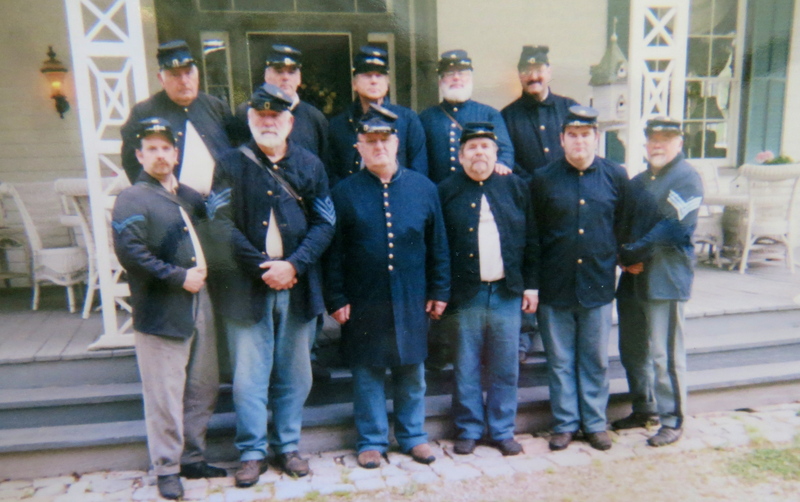 A first-hand account here describes the conditions the slaves endured. 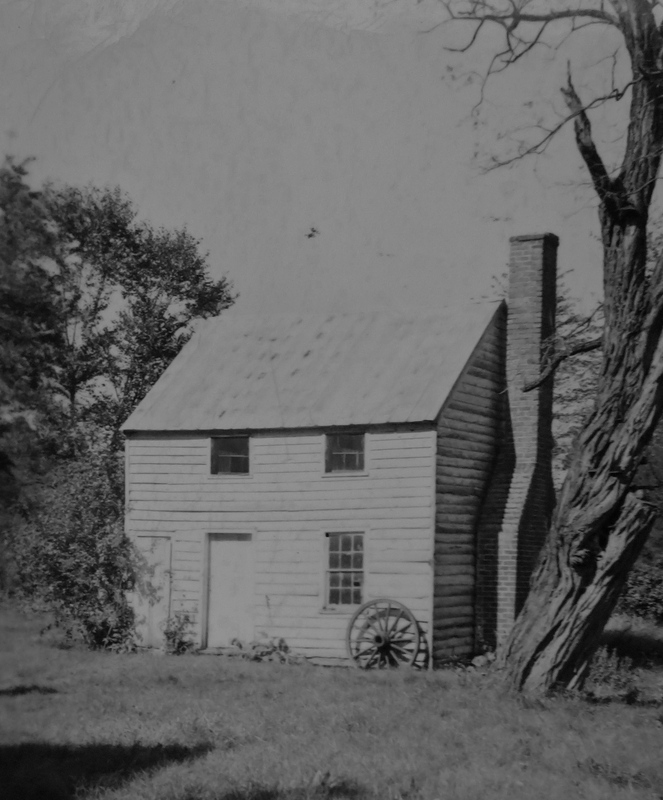 Dot shared with me this photograph of the slave quarters. 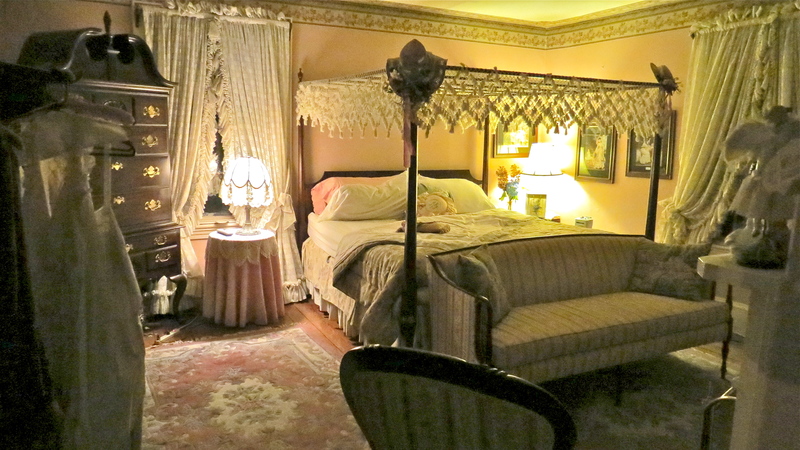 The rooms in the house provided a backdrop for an eclectic collection of antiques and artifacts. Dot restored the kitchen, taking down a plaster wall that hid the original fireplace. 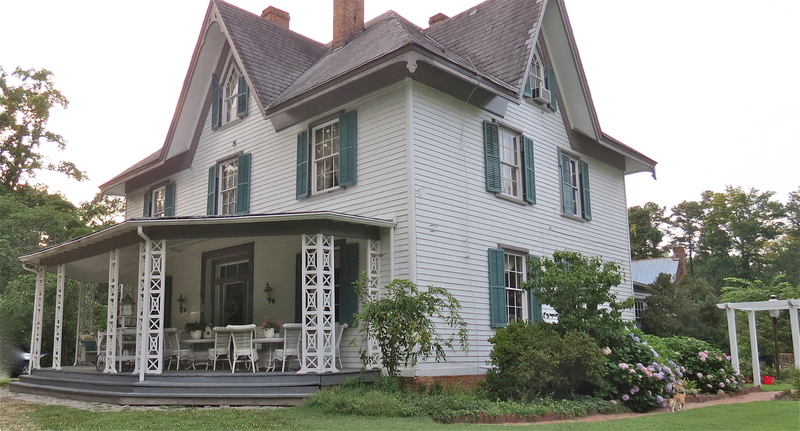 During the Civil War the Confederate generals camped at the Berkeley Plantation and relied on their soldiers to climb to the third story of Roland’s house, which they used as a lookout post for union troops. On June 15, 1862, Confederate General J.E.B. Stuart stopped at Edgewood for coffee on his way to Richmond to warn General Robert E. Lee of the Union Army’s strength. Two weeks later 100,000 Union troops spread over the lands along the James River and camped for six weeks. The owners have found shell casings on the property. The mill ground corn for both the Union and Confederate armies. Lizzie’s Room was our accommodation for the night. Elizabeth Rowland, daughter of the original owner, carved her name on an upstairs window pane. 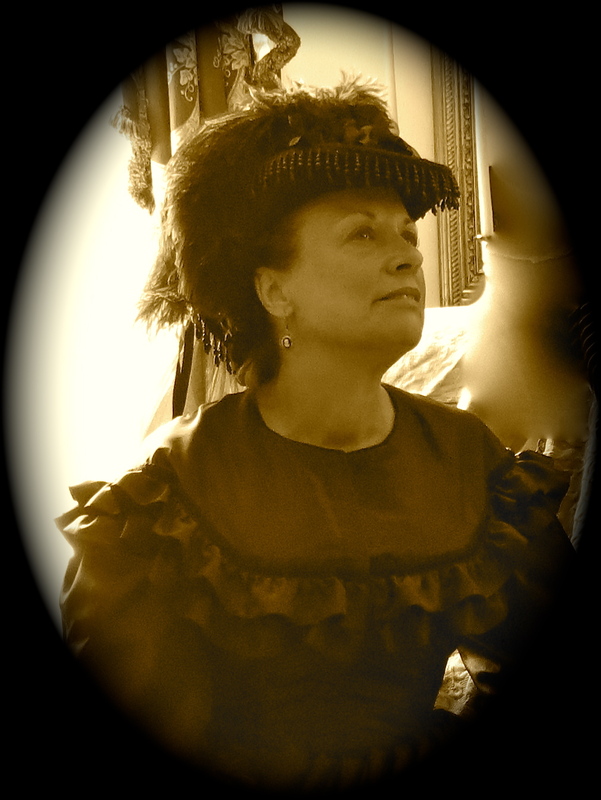 Legend has it that she died of a broken heart when her lover never returned from the Civil War. Some say Lizzie still waits at the window on the third floor. 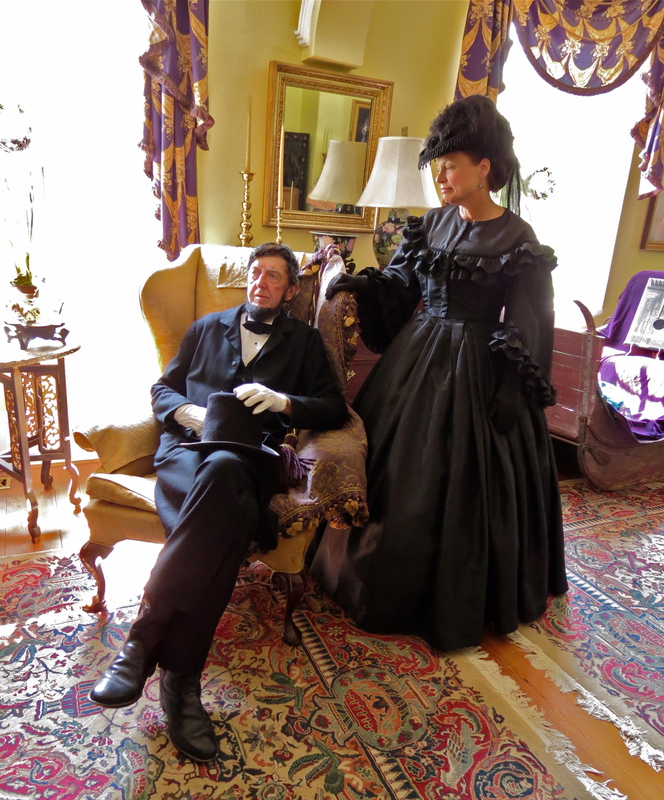 We also had the honor of breakfast with President Lincoln and his wife, Mary Todd Lincoln, a.k.a. Robert and Cheryl. 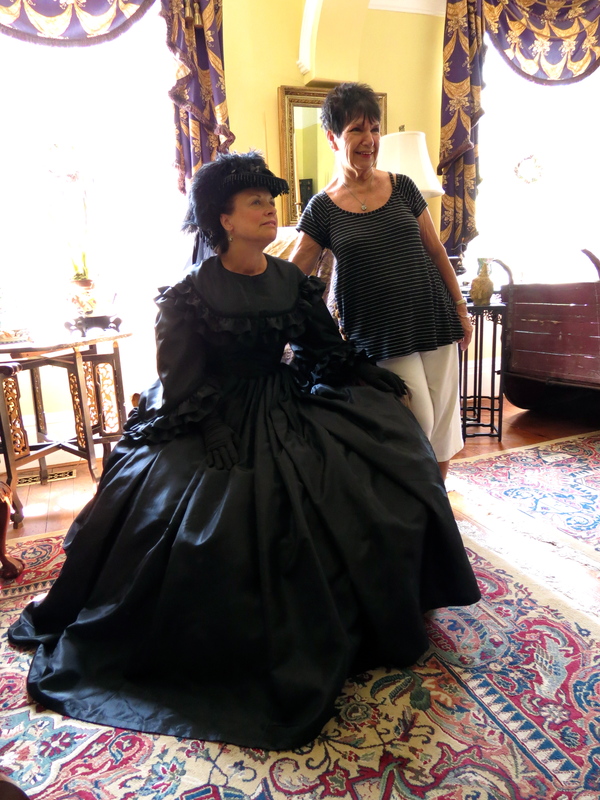 The context of seeing Abe and Mary Lincoln within the Edgewood Plantation house was amazing. As they descended the staircase, we wondered, were we seeing ghosts? President and Mrs. Lincoln . 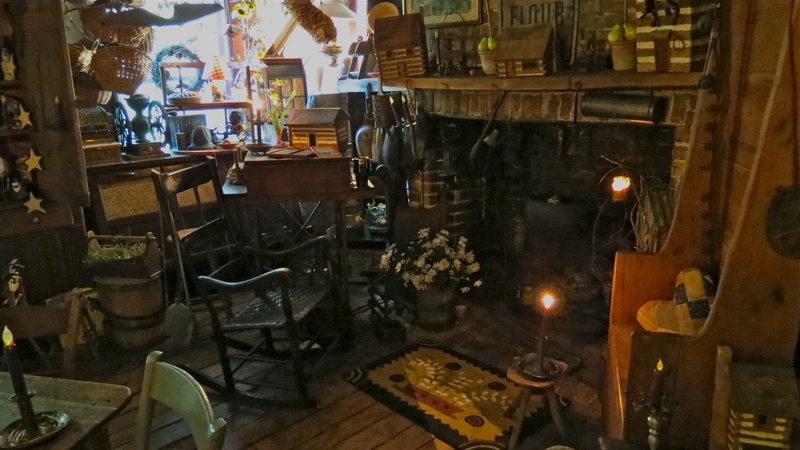 . .
An evening spent at Edgewood carried us back to another time. These buildings were haunting in of themselves as they served as witnesses to history. Lizzie carved her name in the window, perhaps imaging that the house would hold her permanent legacy. We look forward to another visit to uncover more historical treasures. And maybe a President will join us for tea.